Item #SP7142CD. Innovative style and creative expressions shine through on this delightful blend of piano, synthesizer, percussion and guitar, creating an uplifting musical experience. These richly orchestrated piano and synthesizer compositions evoke the singular beauty and majesty of the red cliffs of Sedona, Arizona. 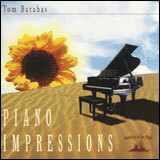 Barabas’ evocative melodies combine with his articulate performance to satisfy both the intellect and the spirit.““"My musical inspirations for this recording were the visits I made to Sedona. The vortex energy, the scenery, the whole feeling about the place was very spiritual… This album reflects that energy I experienced in Sedona. "““Length: 55 minutes““1. More Than Words 4:14“2. Free Spirit 5:34“3. Moon Dust 5:29“4. 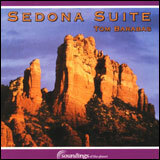 Sedona Suite 12:25“5. Sonata in G Minor 8:08“6. Earthscapes 7:48“7. Inner Peace 7:18“8. Suite Memories 4:25. Item #SP7143CD. 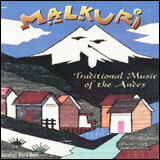 Members of the dynamite Ecuadorian band, Malkuri, all come from villages in the Andes Mountains north of Quito, where Otavalo weavings and tapestries are produced.““Malkuri (meaning "Golden Condor") has its origins in the popular group "Nanda Manachi," which is known for its lively renditions of traditional folk music from the indigenous peoples of Latin America.““This music has been passed down from generation to generation. Although the rhythm and melodies have stayed the same for centuries, the lyrics sometimes are changed to reflect the feelings of the musicians, thus keeping the music very much alive. The members of Malkuri are all self-taught musicians, and carry the spirit and energy of their Otavalo heritage. These upbeat and joyful melodies feature panpipes, flutes, guitar, mandolin, percussion and vocals.““Length: 55 minutes. Item #SP7150CD. Native and silver flutes echo the distant call of coyotes. 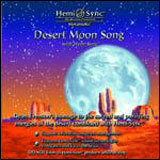 Harps and synthesizers evoke images of the vast and spacious desert, creating a sense of mystery and inner calm.““Desert Moon Song is the culmination of Dean and Dudley Evenson’s 12-year sojourn in the desert and reflects their deep respect for the desert’s scared and purifying energies. The music and natural sounds take the listener through the full cycle of a day, beginning with coyotes on a full moon night and moving into dawn and the awakening of the day. The Indian rain chant is by Hopi elder Grandfather David Monoyne. Afternoon monsoon rains and thunder follow. Dusk and evening sounds and a chorus of mating frogs complete the healing circle.““This album introduced the Evenson’s daughter Sarah, then 15-years old, who played lead melody on "Grandfather Rain." She and Dean composed the piece together. Grandfather David’s rain chant was recorded in 1972 at the United Nations Conference on the Human Environment in Stockholm, Sweden. Dean’s wooden flute and ceremonial drum were both personally created for him by Native American friends.““Tracks from Desert Moon Song are featured on the 1995 Public Broadcasting Systems (PBS) documentary "The Way West." The program is produced by Ric Burns and Lisa Ades. Item #SP7150CD. The natural sounds of Forest Rain trace a journey following the rivers and streams up the mountain to the very heart of the old growth forest. 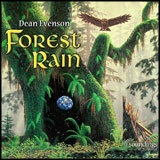 Lush music reflects the depth and multi-layered richness of the ancient grove. Towering, moss draped cedars are home to a multitude of species. Trees of many ages live in a communion of natural systems, creating a context for the intricate web of life to play out its magic dance.“The music flows to a place on the river where the salmon have come all the way from the sea to spawn in the very place they were born. “Here, eagles come by the hundreds to feed as the salmon lay down their lives for the next generation, thus completing their life cycle.“Dean Evenson’s love for nature is embodied in his musical work which blends natural sounds with his free-form compositions. His vision is "to create peaceful, joyous environments for people on this planet to live in …bringing nature, music, and humanity together in harmony." Item #SP7152CD. Timeless. Uplifting. Passionate. Rich orchestral arrangements of classical works along with splendid and refreshing original keyboard compositions. 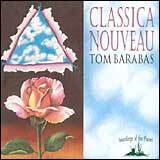 Barabas’ sensitive, free-flowing style creates a deep, enriching musical experience.““"Classica Nouveau is the realization of a long-time dream of mine to play some of my favorite classical pieces with my style of orchestration. My heart and soul went into this recording.““"I love the music of Bach, Beethoven and Chopin and have included a piece by Erik Satie, the father of New Age piano. My own compositions on this album reflect the richness and texture of classical music with the playfulness and soulfulness of the 90s. "““Length: 57 minutes. Item #SP7155CD. 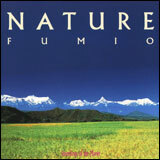 Fumio’s music reflects five elements of nature: wood, fire, earth, gold and water. These elements are expressed as tones used in the music over and over to represent the natural flow and "the rhythm of the breath of life. "““Fumio composes in a slow rhythmic pattern to help create a merging of the inner and outer universe within the individual. Nature’s power, balance, and inspiration emerge from these uplifting and energetic keyboard melodies.““Length: 51 minutes. Item #SP7156CD. Lorellei possesses both an inspired compositional mind and a striking, crystalline voice. National music reviewer PJ Birosik has proclaimed her "one of the great vocalists of our time." With the release of Spiritus, Lorellei takes her musical journey to a new plateau entirely – one that is unique and irresistibly magical.““Under the name of Singh Kaur, Lorellei brought her music to a wide audience through the hugely popular Crimson Series albums, recorded with Kim Robertson. Shortly thereafter, she joined Soundings of the Planet to produce her first BILLBOARD-charting album, Instruments of Peace (1988). This was followed by What Child Is This, a Christmas album produced with Dean Evenson. 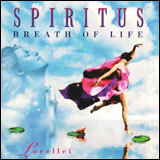 Lorellei has 18 previous albums to her credit, but none of them quite resemble this latest release.““Spiritus: Breath Of Life represents an exciting and accessible new direction for Lorellei and brings the spirituality of her previous music to a mature, contemporary expression. Her heavenly vocals and exquisite harmonies – on focus tracks "Spiritus," "Mind Thing" and "In A Vision Of Love" – make the crossover from new age to adult contemporary. This is a powerfully beautiful and romantic music that will uplift and energize you…with the breath of life.